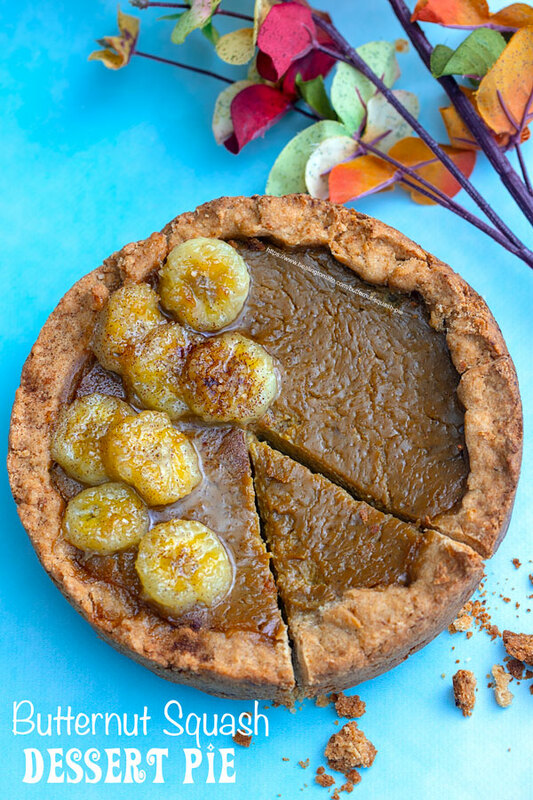 Quick and Easy Slow Cooker Vegan Butternut Squash Pie with a kiss of miso! 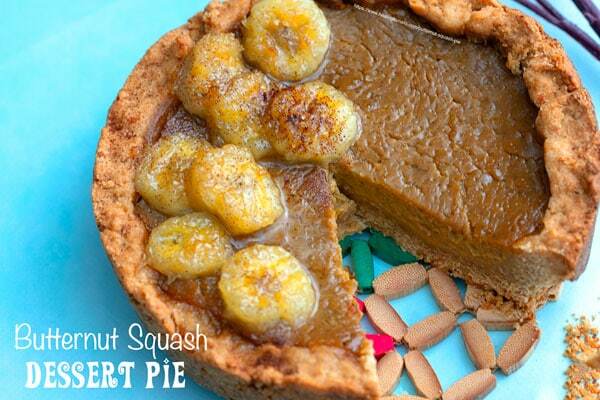 This pie is so easy to make with very little effort. The crust is nice and flaky with a hint of miso. Note: This recipe is from Kathy Hester’s New Book. 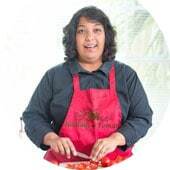 She Is an uber talented vegan chef with many books under her belt. Her new book is “The Vegan Slow Cooker – Revised and Expanded Edition”. Get it from (affiliate link) Amazon today! I love pies, but, I have always been so bad at making them. I am one of those people who wasn’t born with a baking thumb! 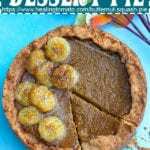 My favorite pie is a chocolate silk pie which I just can’t seem to perfect, especially the vegan version. 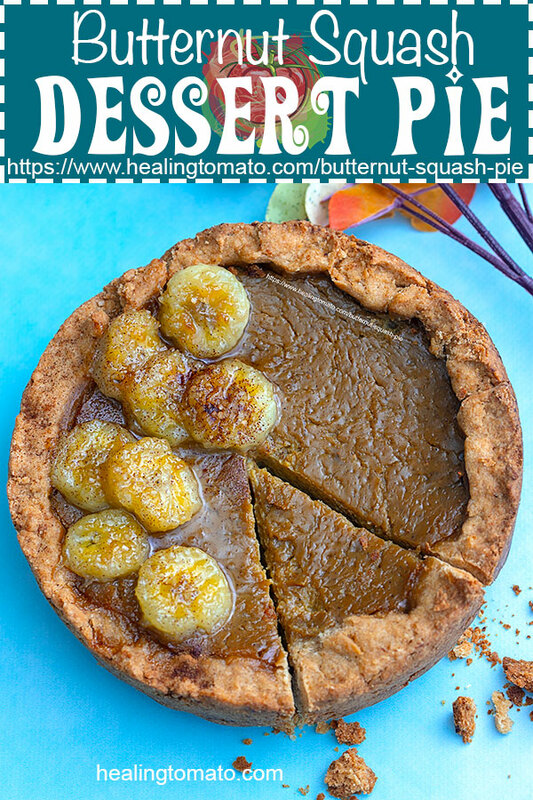 So, when Kathy Hester was looking for people to talk about her recipes from her new book (Affiliate Link – The Vegan Slow Cooker – Revised and Expanded Edition), I knew I had to try one of her desserts. I have seen her live videos where she makes desserts and it has me mesmerized. I am happy to report that I wasn’t disappointed. Her pie was not only super easy to make, it was also HEAVENLY! 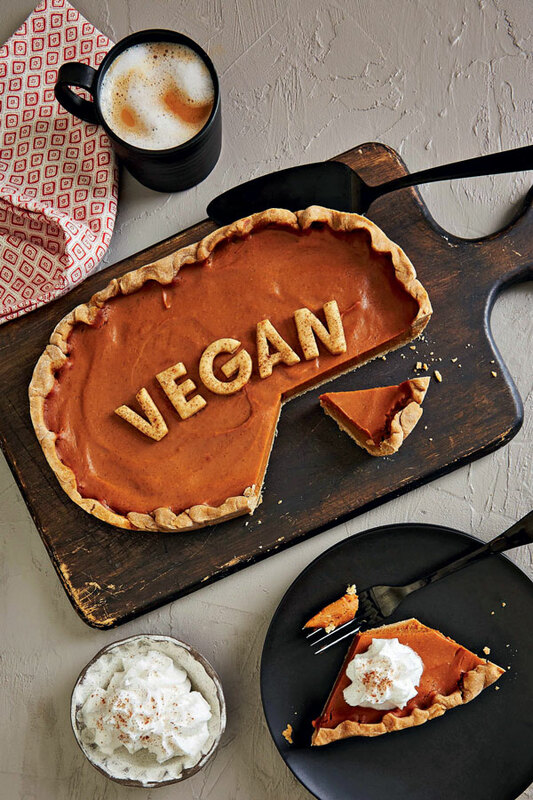 This butternut squash pie is silky smooth with hints of fall spices like cinnamon, nutmeg and ground ginger. These 3 spices, when brought together in any recipe, guarantee that it will be full of flavor! These 3 spices were the main attraction in my Greek Seasonings recipe post and they gave really made the seasoning stand out. My home had a wonderful aroma of December in January when I made it. 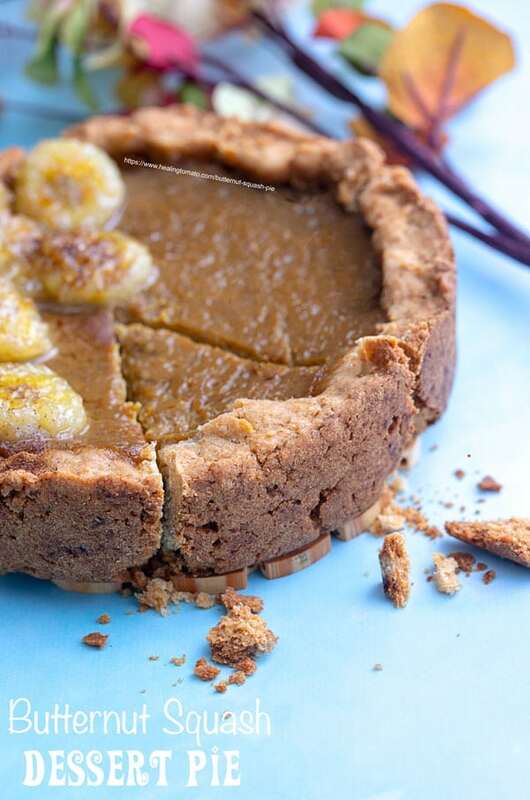 The fall aromas are are my favorite reason to make this pie. Where can I purchase whole wheat pastry flour? How to I get butternut squash puree? I also like a thick crust, so, I used the same amount of ingredients for the crust that she recommends. Adjust the recipe according to your slow cooker. You can oil the inside of the slow cooker using cooking spray or melted vegan butter. To remove it, wait until its cooled and then use a spatula to gently remove it from the slow cooker. This is a great question, because, it happened to me. When I made this butternut squash pie for a practice run, I had just enough of the parchment paper. I put a note in my grocery list to purchase it for when I made the final recipe. But, I always forget to buy it and so, I didn’t have any when I started to make it. You can also use an slow cooker liners for lining the inside. Some grocery stores will carry whole wheat pastry flour. You can also order it from amazon or from big box stores like Walmart and Target. I don’t know why its so hard to find whole wheat pastry flour locally. So many big name grocery stores will not carry it and I can’t find out why. If you know why its not readily available, please feel free to contact me. The puree is really easy to make at home. I have followed Pioneer Woman’s recipe in the past and its very effective. However, if you don’t have the time to make it, you can always get it from your local grocery store or online. 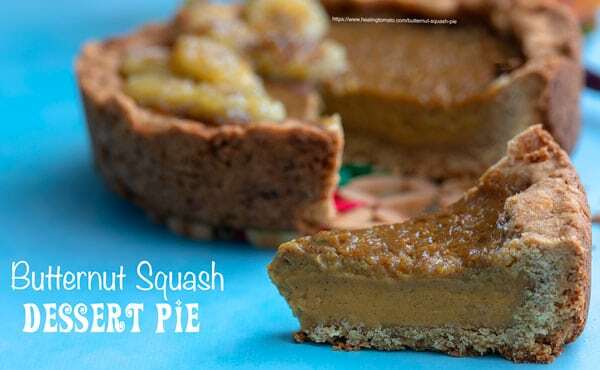 For this butternut squash pie, I used Farmer’s Market’s Organic Butternut Squash Puree. Some of my grocery stores also carry the frozen one. When I made my butternut squash risotto, I used (NOT an affiliate link) Alexia’s frozen butternut squash puree and it was so good! Check out Kathy Hester’s Blog – Healthy Slow Cooking and follow her on Social Media for great recipes and helpful tips. Disclaimer: I received an advanced digital copy of Vegan Slow Cooker Revised and Expanded (Printed by Fair Winds Express). Recipe is reprinted here with permission. I wanted to give you a holiday dessert that you can show off to your friends and family. 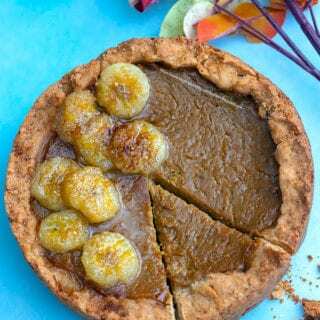 No plain old pumpkin pie here! The base is a simple whole-grain crust. The middle is a slightly sweet butternut tofu purée with a hint of miso and lots of spice. Create a ¼-inch lip/crust edge all around. I have tried a couple of your recipes and they were delicious. Keep them coming. Thank you. Thank you so much, Gila.